Christmas Installation for the City of Ballarat, 2013An official servay found that Shoso's magical tunnel was the most popular among the people in the city. 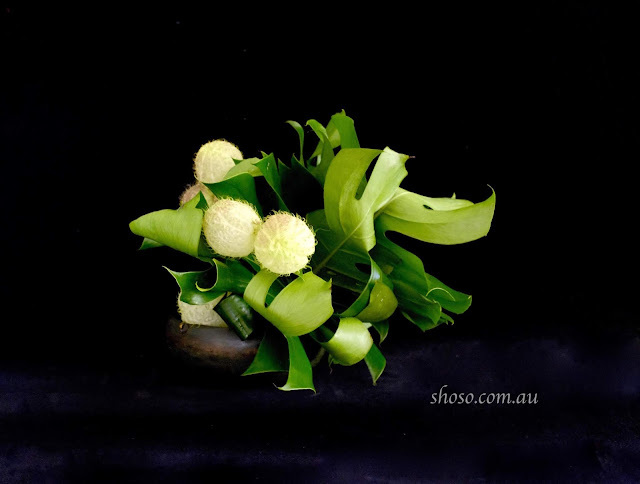 BouquetsShoso's floral works are a special addition to your wedding or other special events. 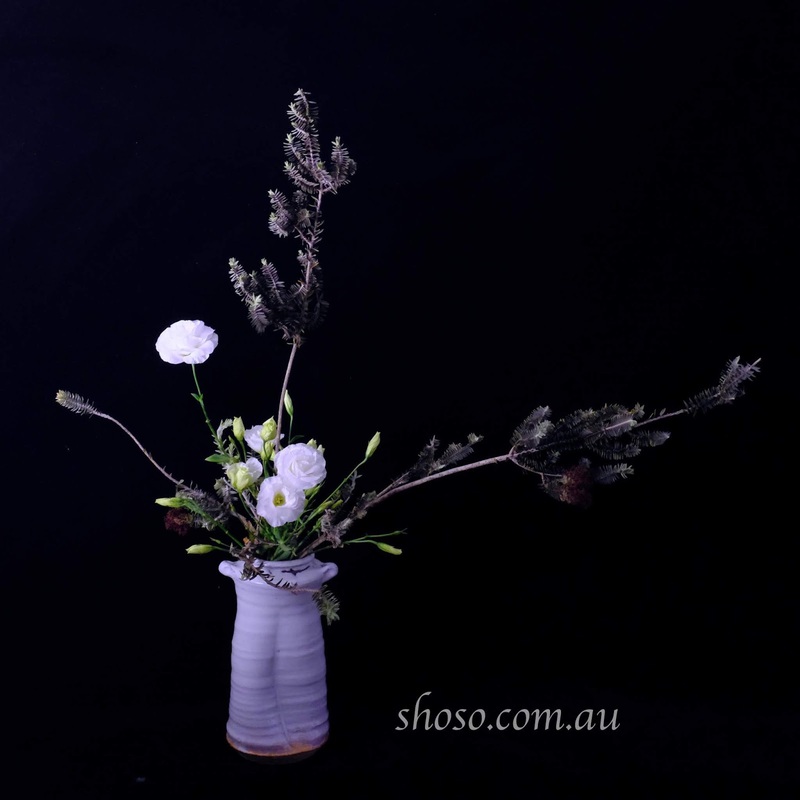 Bridal BouquetsShoso specialises in fully wired bridal bouquets. Wa: Melbourne Ikebana Festival presents Ikebana artist Shoso Shimbo in concert with the Grigoryan Brothers. 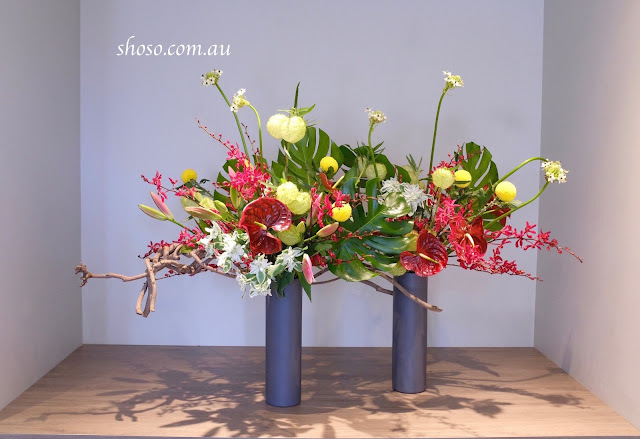 An award-winning floral artist and sculptor, Shoso has over 30 years experience as an Ikebana practitioner in the Sogetsu school. After completing Ikebana demonstrations in Japan, Germany and Romania in 2018, in this show he brings together his sculptural skills and his deep knowledge of floral design to create an installation in real time. Recognised for their “uncommon originality and authority” (The NY Times), The Grigoryan Brothers will select a program specially for this event from their broad repertoire embracing genres such as classic, jazz and contemporary music. 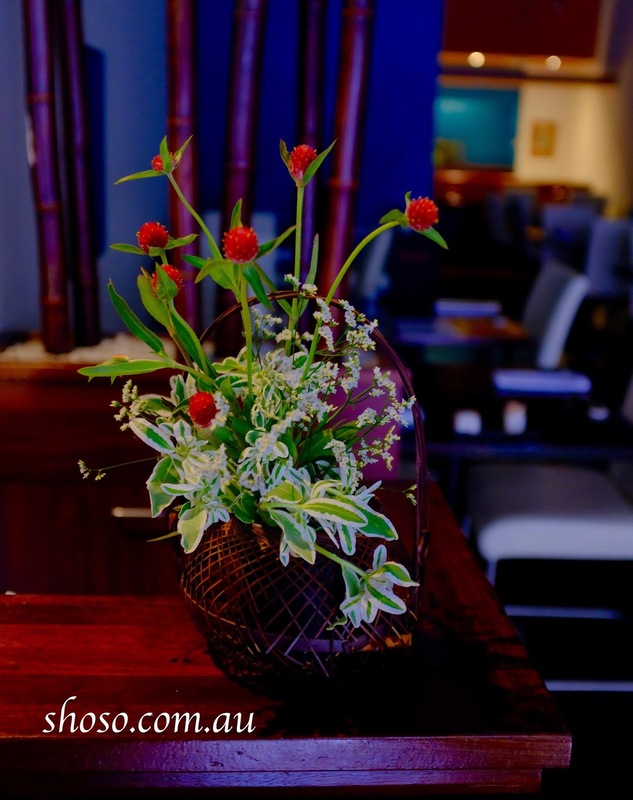 The intimate nature of the Primrose Potter Salon makes it the perfect venue for this event. The audience can see the skill of the Grigoryan Brothers as they play, and witness the final work emerging as Shoso brings the elements together over the performance. 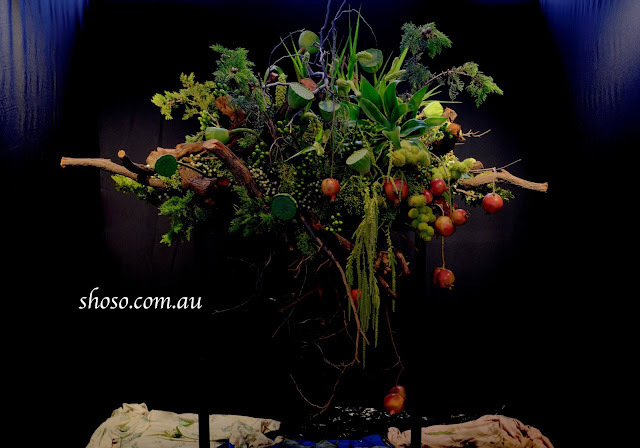 27 - 31 March 2019: Melbourne International Flower & Garden Show. 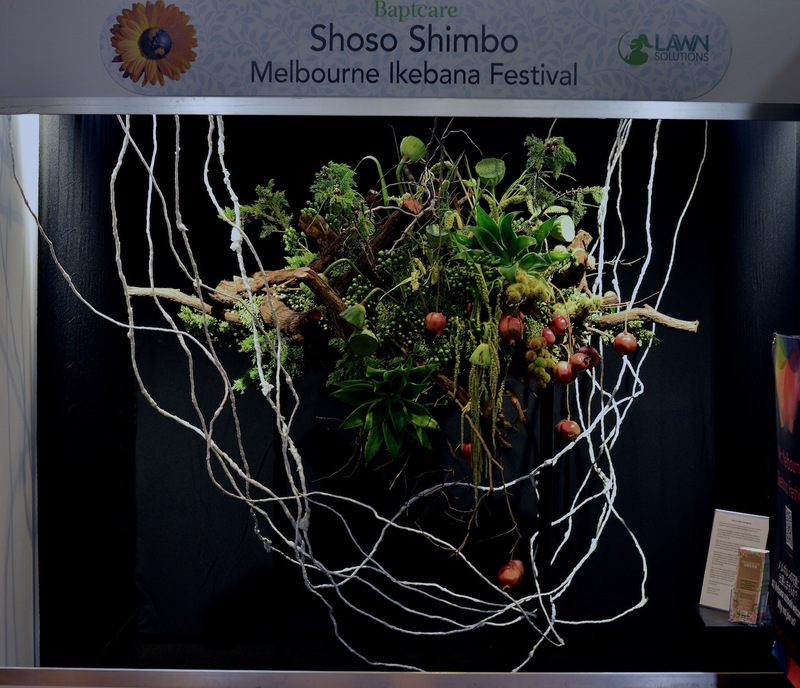 Shoso Shimbo won the silver award in the shop window competition. Thank you my team members, Shoto, Shokai, Shoen, Sophi, Jo, Jenny, Shoan 逍蘊 & Akemi Suzuki for great help. The Melbourne International Flower and Garden Show ends tomorrow (31 March 2019). Shoso and several other Wa participants joined the show to promote Wa: Melbourne Ikebana Festival. Work in Progress: Stage 1 (Day 1 - 30% done) & Stage 2 (Day2 - 70% done). My work received the 2nd award at the Shop Window Competition. Thank you my team members, Shoto, Shokai, Shoen, Sophi, Jo, Jenny, Shoan 逍蘊​ & Akemi Suzuki​ for great help. Melbourne International Flower and Garden Show, 27 - 31 March 2019. Come and see Shoso's work at the Melbourne International Flower and Garden Show 2019. 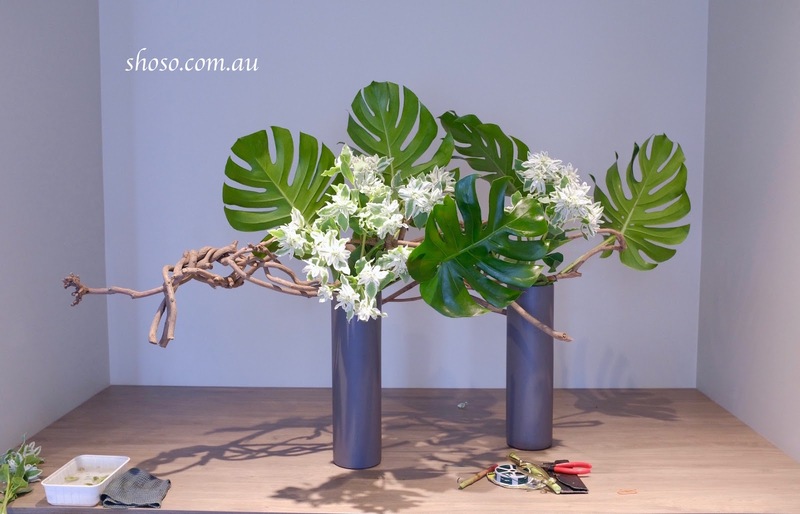 27 - 31 March 2019: Melbourne International Flower & Garden Show. The ongoing destruction of our environment by man-made pollution continues to push the world towards catastrophic circumstances. In particular, the problem of plastic pollution has become ubiquitous in our oceans, with 90% of sea birds consuming some kind of plastic, and over eight million tons of new plastic rubbish finding its way into the oceans every year. There have been a number of political, scientific and social attempts to find a way to get this problem with plastic under control, but the most effective way forward is at the personal level. If we change our habits, we can start to move towards a solution. However, this kind of change does not happen easily. Personal transformation is a big challenge. 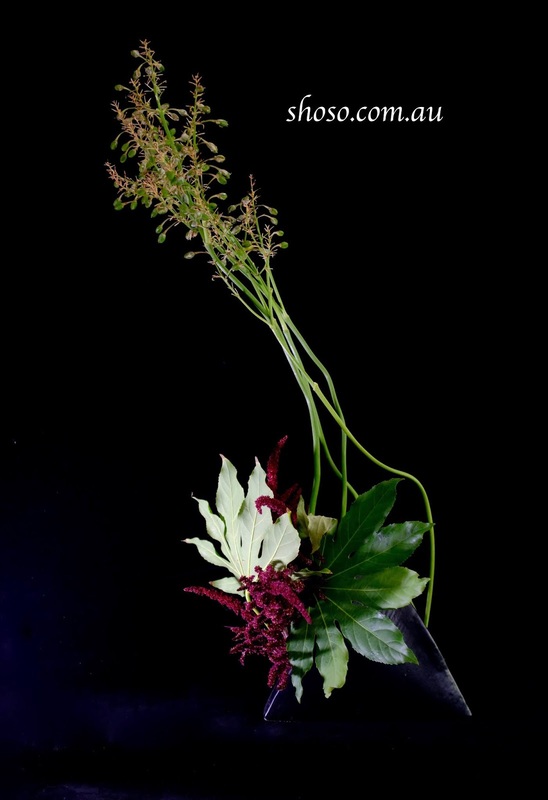 Ikebana may help to bring about such a transformation. It teaches us to find harmony between people and nature. 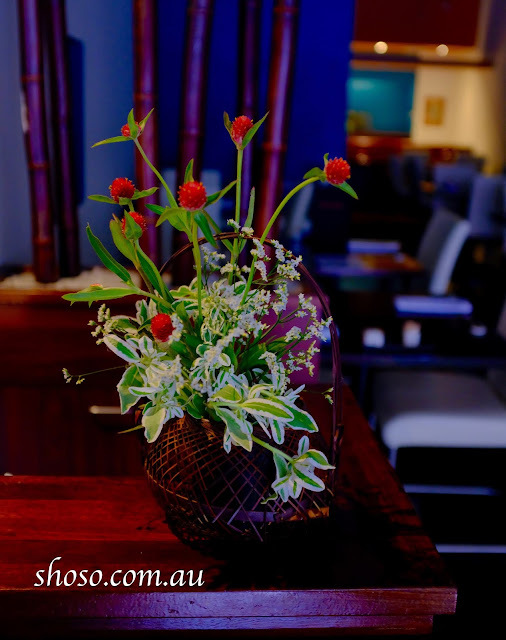 At its core is the belief that all living beings are united as one. When we stop objectifying nature, we can find a way to stop harming our home. This work features ropes made of recycled plastic shopping bags. The bags have been repurposed as art, and the work aims to point to a brighter future for our home, this beautiful earth, if we can reimagine our relationship with plastic and commit in our hearts to finding alternative ways to think about plastic. Our home depends more than at any other time in history on where our hearts are. 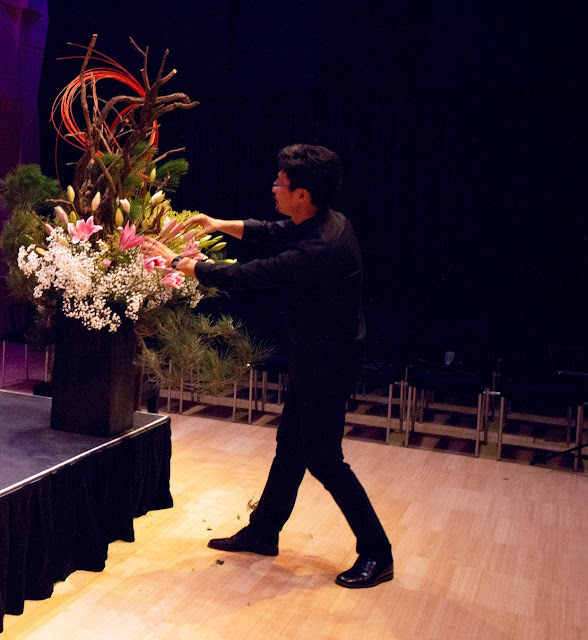 Wa: Melbourne Ikebana Festival presents Ikebana artist Shoso Shimbo in concert with the Grigoryan Brothers. 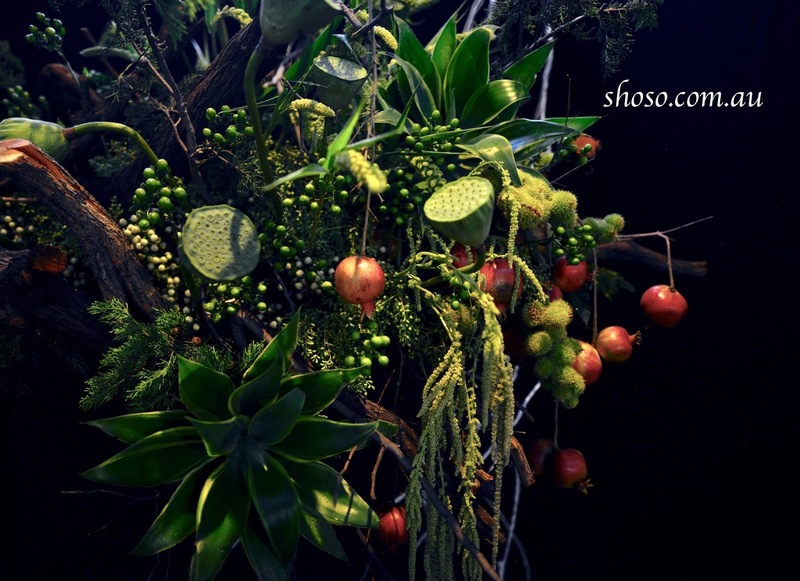 Shoso will create a large scale floral installation to the music of the world renowned guitar duo in an intimate setting that brings the audience right up close to this captivating performance. 27 - 31 March 2019: Melbourne International Flower & Garden Show. Shoso Shimbo, Shoan Lo and Akemi Suzuki will exhibit their works. 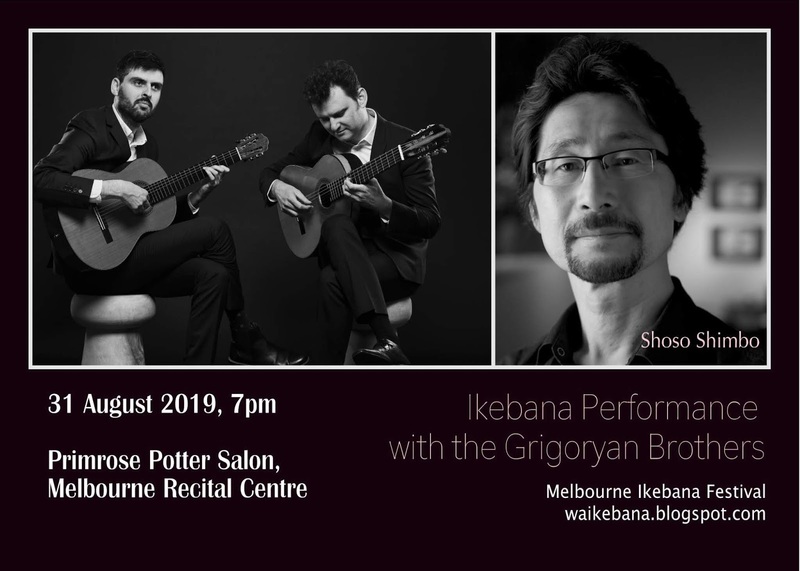 Wa: Melbourne Ikebana Festival presents Ikebana artist Shoso Shimbo in concert with the Grigoryan Brothers. 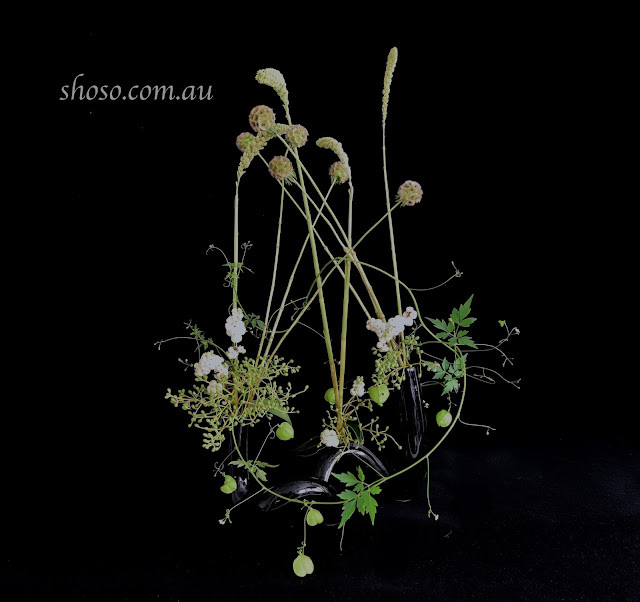 Shoso will create a large scale floral installation to the music of the world renowned guitar duo in an intimate setting that brings the audience right up close to this captivating performance. Details will be announced shortly. 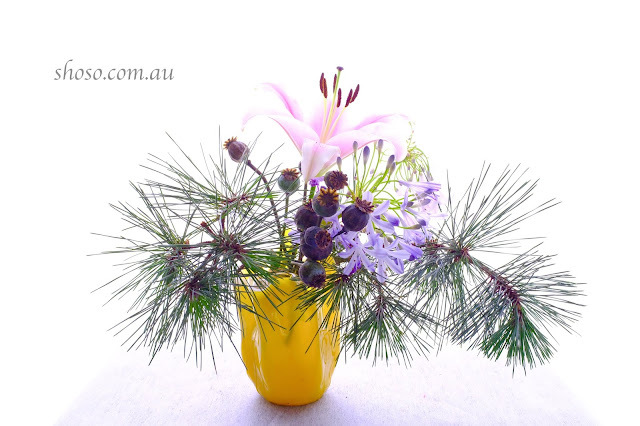 27 - 31 March 2019: Melbourne International Flower & Garden Show. 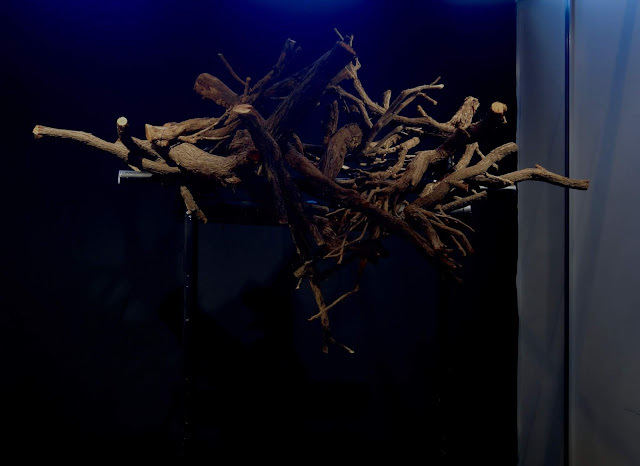 Shoso Shimbo, Shoan Lo and Akemi Suzuki will exhibit their works. Shoso is looking for several volunteer assistants on 24, 25 & 26 March. Please send an email to shososhimbo@gmail.com, if you are interested. 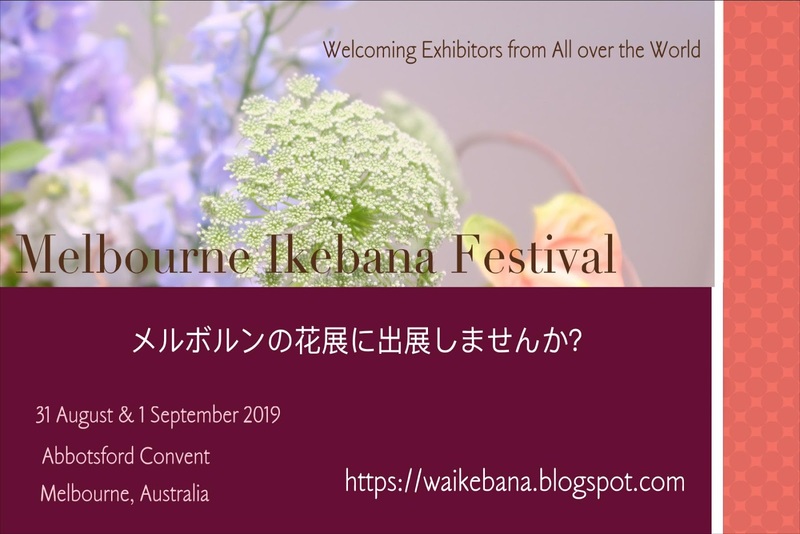 Wa: Melbourne Ikebana Festival welcomes exhibitors from Japan and other countries. Our new term starts from 2 February 2019. New students welcome. 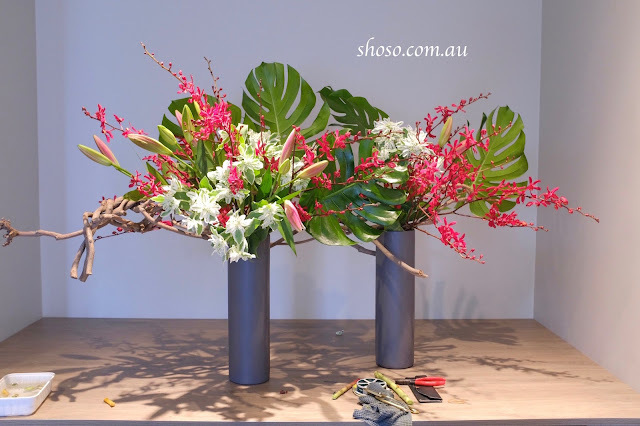 17 January 2019 (to be confirmed): Shoso will create several arrangements including a large work for a display suite of a new development in Barenya Court, Kew. 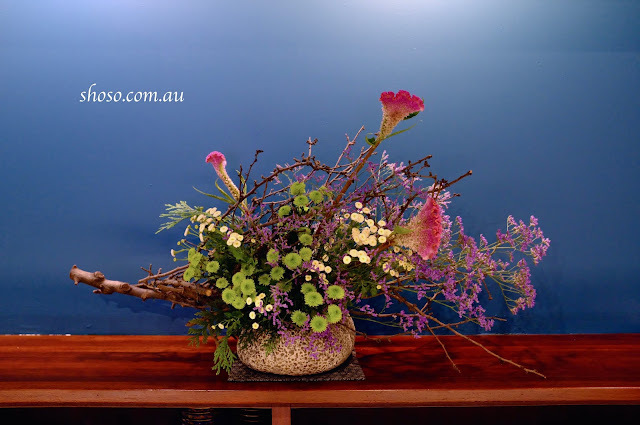 2 February 2019: New term of ikebana courses start. New students welcome. 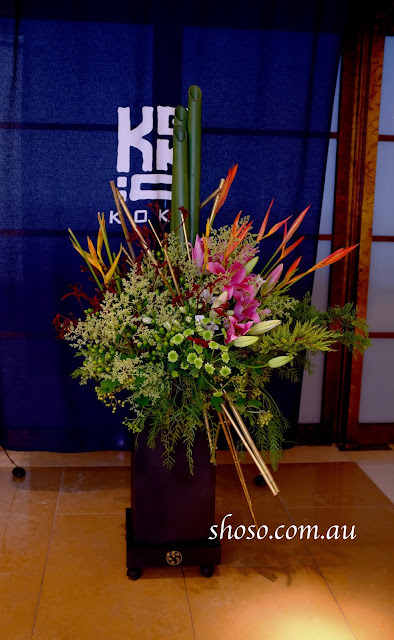 13 February 2019: Japanese Aesthetics - From Ikebana to Contemporary Art. 27 - 31 March 2019: Melbourne International Flower & Garden Show. 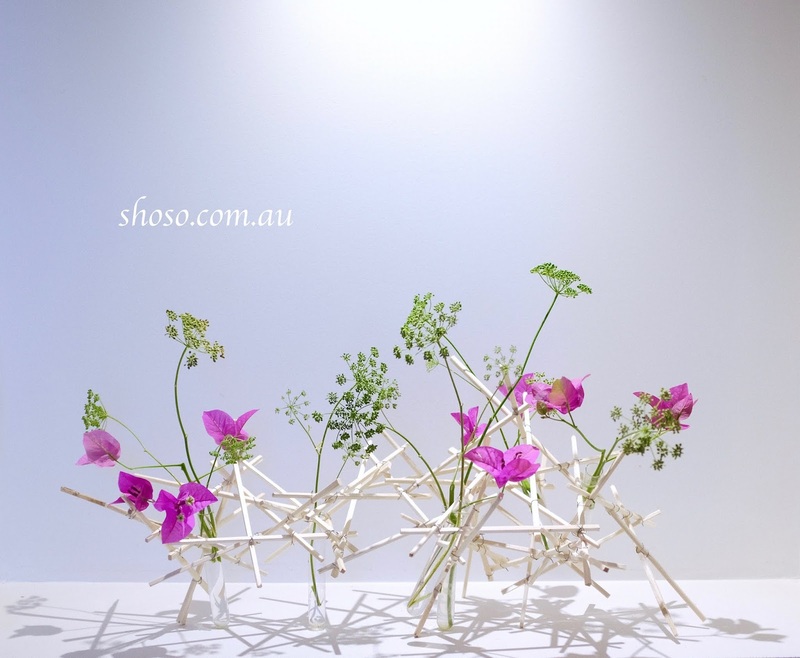 Shoso and some of his students will exhibit their works. Shoso Shimbo teaches "Japanese Aesthetics: From Ikebana to Contemporary Art" at RMIT University Short Courses. It will be available for anyone (not just for RMIT students). 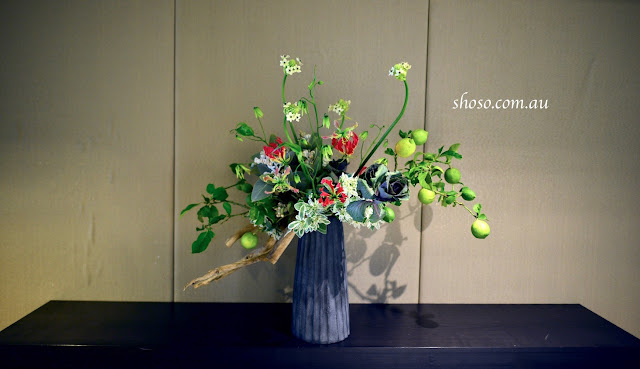 This class will take participants on a journey to explore the theory of Japanese aesthetics through practical exercises. Q: Hello Shoso, I was in your course this year & enjoyed it so much, I would like to do another with you next year. 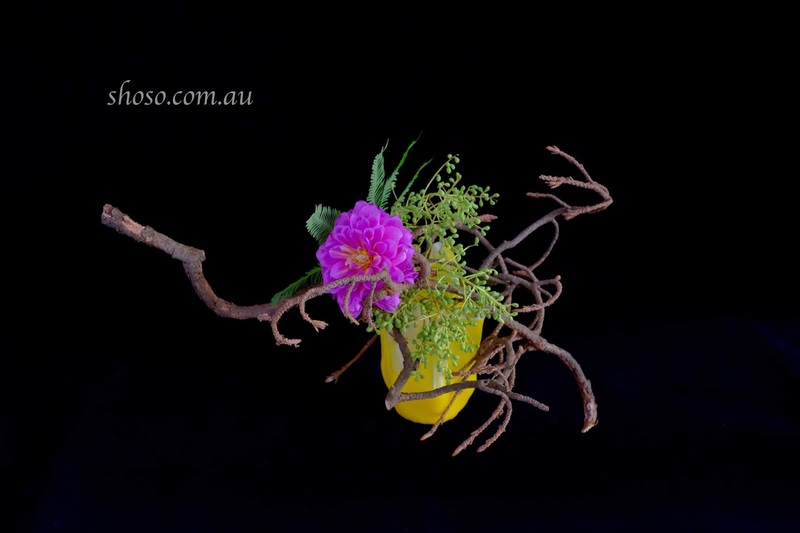 Hopefully the one starting in Feb.
Ikebana work for Koko Restaurant, Crown Hotel, Melbourne.